Since time began the human race has yearned to understand where it is going. Personally, we are intrigued by our future. We have utilized different types of prediction “tools” in order to obtain answers to seemingly straightforward questions. We refer to I Ching – the Book of Changes, tea leaf readings, card readings the magic of dominoes, crystal balls, and channelling sessions, the Book of Revelations, and Nostradamus. We throw bones, dice and thank God the majority of us do not copy Ancient Romans who read the entrails of dead goats to see into the future! (The modern equivalent might be conversing with an Ouija board and any co-operative spirit floating around the ethers, after all Spirits surely know more than we do!) We go in for dowsing, or even shake a pendulum. 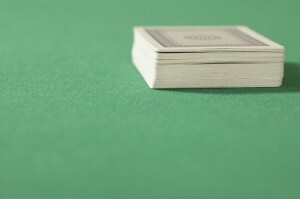 We refer to a simple pack of playing cards or a favourite psychic to understand what lies ahead, we sometimes beg our empath for a series of card readings, when things are especially dicey. But would our friend Edgar Mitchell go in for tried and tested card readings, since he has inferred that understanding our past and being fully aware of our present, is what creates our future? Perhaps Mitchell believes card readings are a projection of what we believe already, and the future is just “unconscious expectation”. He might also perceive card readings reflect back to us. In other words, if we are convinced of our incapacity to meet a soul mate, because our love life has ended on the scrap heap, unless we change that “unlucky-in-love” type thought we will get more of the same! Consider this, card readings identify our broken hearts but also suggest how we can resolve the hurt if we refuse to energize our righteous pain and suffering! In fact card readings can change things the moment we remove emotional input and have the courage to “know” life can really be different. Interestingly Quantum physics sustains everything is an illusion. Since obviously we need a physical reality to create the life we walk through, Quantum theories could seem “up the creek without a proverbial paddle!”, Yet Quantum is not so different from eastern philosophy’s “Maya”, translated the “Ultimate Illusion” . If we decide to remain open minded to the mysteries within our lives, change our perceptions, and mentally jazz up our future, is it certain we can manifest what we want? A spiritual empath would nod their head happily in answer to that. Card readings can help you define reality and transform your past. In other words card readings re-evaluate memories! Any predictive tool is a metaphysical gift shared between a psychic and their client. Experiencing enlightened card readings enables us to tune into “unlimited potential”, which moves us on from all that mental torment. Card readings are a reflection of what we wish to experience and the moment we know what we want that self awareness mitigates past influences, guiding us to understanding, enabling us to open new doors. Edgar Mitchell walked on the moon and is the founder of the Institute of Noetic Science. He warns humanity that it needs to evolve pretty fast. If we invest in the “lack” of the present, our future could be the same, if not worse. In other words a simple card reading might not be so simple after all! Perhaps something multidimensional and super metaphysical is occurring as it takes place! Well, we told you to get your space gear on!